When it's going to take a little more than your morning coffee to keep you warm, Castelli's Espresso 4 Jacket is thick and protective to keep you nice and cozy during long, steady, winter rides. Made from Gore® Windstopper™ X-Fast fabric, it offers 4-way-stretch windproofness and water-resistance, while providing you with the best breathability around. Open up the airflow a little more with the full-length YKK® Vislon front zipper and two zippered side vents that double as supplemental storage to the three rear pockets and zippered chest pocket. Stretch inserts at the shoulders ensure nothing holds you back when you get down into the drops, and refined touches like the double-layer collar and CrossWraps take the comfort to another level just when you thought winter's harshest chills were going to strip it all away. Features reflective accents for increased low light visibility. Elastic rear hem. Available in multiple colors. Best piece of cycling clothing I have ever bought. Very well designed and contructed. Wish I had not wasted money on earlier jackets as this is worth the price. Runs one size small so order with that in mind. No sweat cold weather riding jacket. Morning temperatures 30 to 40 degrees F. 30 minute ride. The jacket keeps me cool and dry but not cold, as opposed to warm and sweaty. The jacket is serviceable in temperatures 40 to 50 F. with the vents open. The articulated shoulder sleeves make the jacket aero. The jacket is heavier than previous winter jacket but more effective with the Windstopper fabric. This is a great jacket. This is best jacket that I have worn. The material is good quality and it is tailored well. It looks good and I am changing over to Castelli from Giordana apparel. I bought this jacket to replace an existing jacket of a similar nature. However after going out for my first ride with it it was obvious that I could remove one of my base layers. 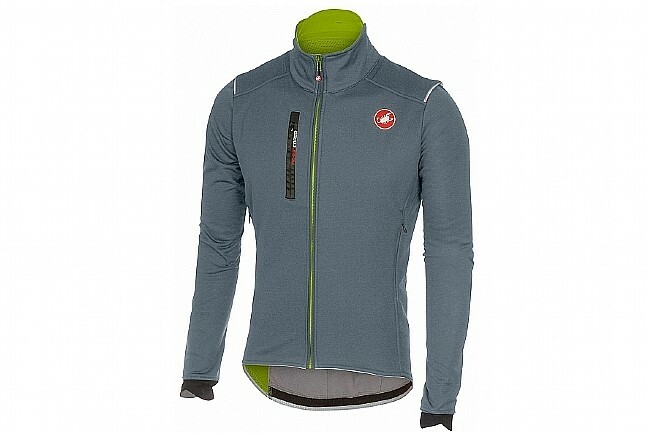 The jacket performed excellently above 40 temperatures with just one base layer. It was very comfortable and also very visible. easy to ride with, breathable and aerodynamic. Excellent choice for those cold and very cold winter days.